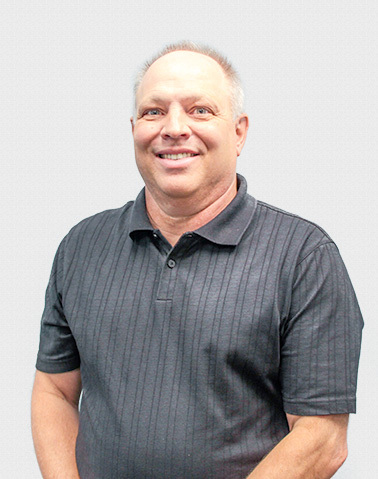 #TBT: Interview with Mike Zimmerman, Director of Operations | Invotec, Inc.
Mike was hired in 1999 as the Operations Manager. At the time, Invotec had about 13-14 employees, so the operations team included business development, account management, project management, and engineering. As the company grew, departments gained more definition, and his role changed. He became the Engineering Manager, then the Project Operations Manager, and now the Director of Operations. When I joined, we were at a smaller facility. We designed the machines, and they were built offsite at a third-party manufacturer. After they were built, they would come back to us so we could integrate, debug, and fine-tune them before installation. In the beginning, we did a few dozen projects each year—today we do hundreds. I’ve known John and Daryl (Invotec’s founders) since 1982. When they started the company in 1993, I got to watch it grow from the outside. In 1999, I was offered a position with Invotec at the same time that I was offered a job with a large, well-known, engineering firm in the Dayton area. I had a choice to make: go with Invotec—at that time, the small startup—or go with the large company. After giving it some thought, I realized that John and Daryl were personally invested in the company's success; they were going to do everything they could to make it work. That made the decision easy. Several years later, that larger company no longer exists, and we are still here. The challenges and the personal friendships. In the middle of my career, I actually left for about four years. But I came back. I like the technical challenge of the solutions we develop as well as the administrative challenges of growing a business—and I like the environment Invotec creates to solve those challenges. But mostly I value the friendships I’ve built; I haven’t worked a day here that I haven’t laughed. Becoming a truly international company. It’s going to be interesting and challenging, but I’m confident that it will be successful.